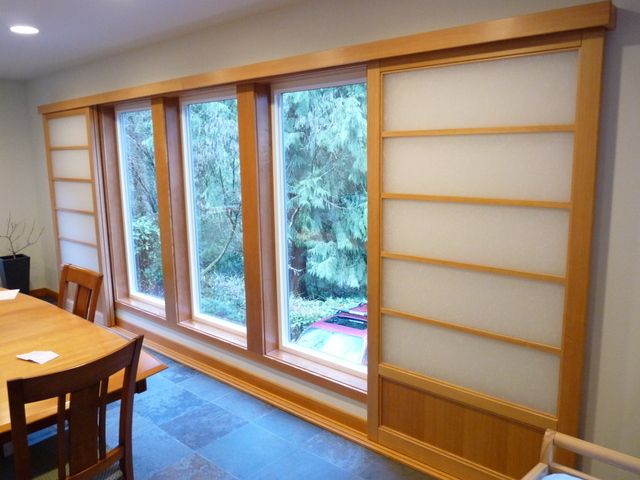 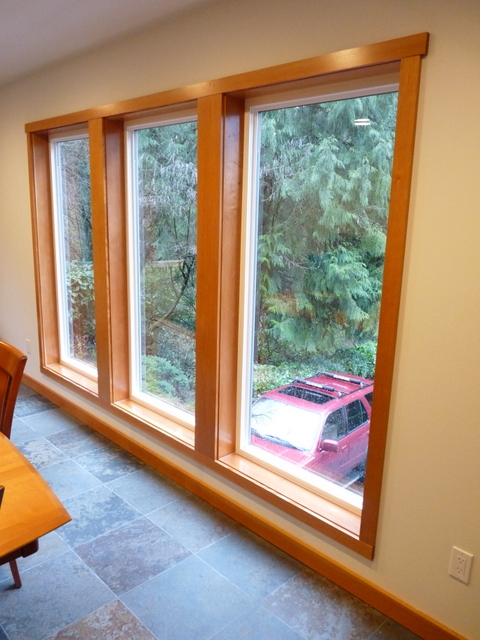 I did a job for this client last year and they opted to have more installed in the dining room/art room of their new home in South-West Portland. 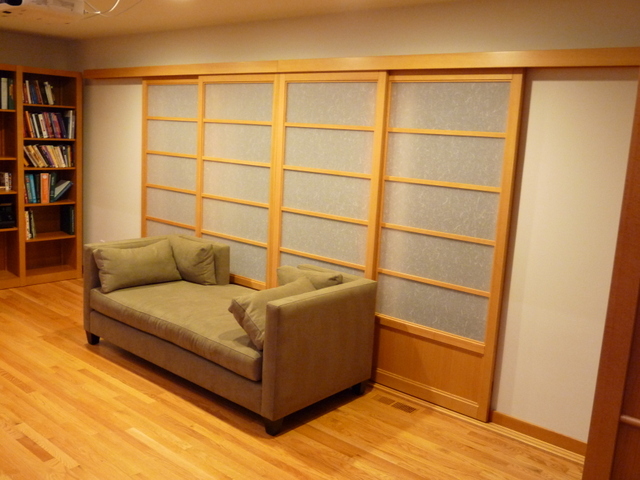 Their home was done last year and all the trim is clear Fir with a clear lacquer finish. After meeting with the designer (local Portland designer, Jason Ball) and owner, we went with that same wood and finish. 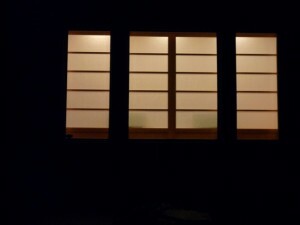 When it’s dark out, the shoji glow! 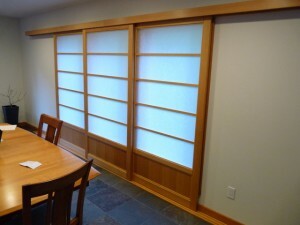 All these shoji have 2.0mm White Imported Japanese acrylic (Warlon). These turned out pretty cool.